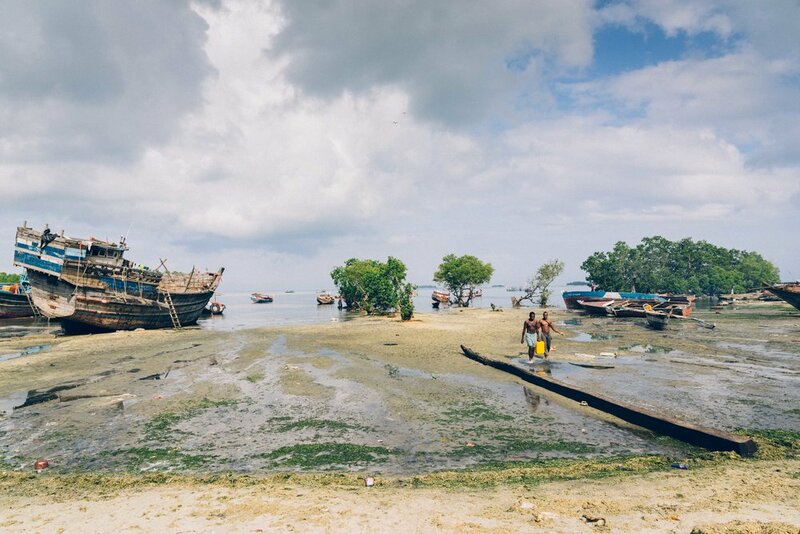 About four kilometres outside of Stone Town, Zanzibar, near the ruins of the 19th century Arab Sultan Barghash’s palace lies Maruhubi fishing village. Quiet during the afternoons, the village comes alive in the evenings when fishermen set out for 12 hour shifts at sea returning exhausted at around 6 o’clock in the morning. After they bring their catch ashore, their wives and sisters first boil the fish to rid them of their guts and inedible innards and then lay them out in the sun to dry before they are wrapped up and sold at local markets. A rich and potent fishy smell fills my nostrils. Give it a while and perhaps I may no longer notice it. 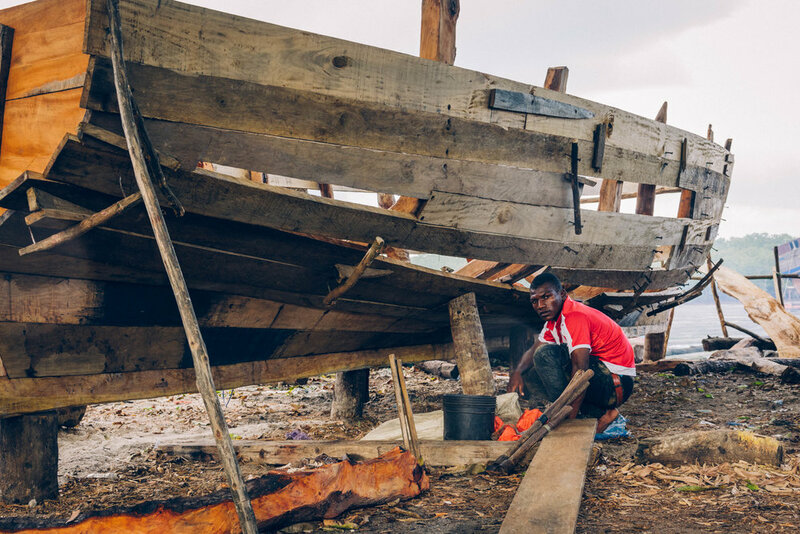 Amongst the huts and houses where the fishermen and their families live, skilled craftsmen build the boats that support this livelihood. The boats vary in size but typically take about six months to construct with between one and four people working on each boat. They are typically made from mango or mahogany wood of which there is an abundance in Zanzibar. The boats are handmade and constructed with hand-driven drills, chisels and rustic mallets. The sound of sawing and the clattering of hammers fills the air. Here the connection between production and consumption, supply and demand is clear and fathomable. I sense a harmonious ecosystem at play between craft, commerce and community and I wish I could stay longer and learn more about this place. The following are some photographs taken from a visit in October 2017, I hope you enjoy them. As featured in ROAM Magazine and Lonely Planet. The ruins of the nearby Maruhubi palace built by the third Arab sultan of Zanzibar between 1880-1882. Early morning light hits a nearby tree.